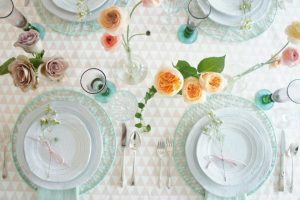 We can’t think of a better way to greet the spring time than with a bright colorful tablescape! 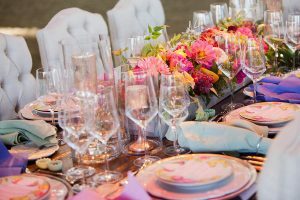 These 21 colorful tablescapes will be great inspiration for your spring wedding. 1. 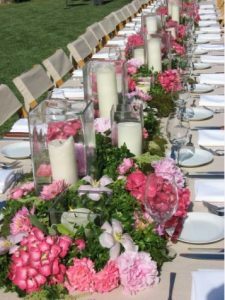 Spring is officially here with this vibrant pink and green floral centerpiece. 2. 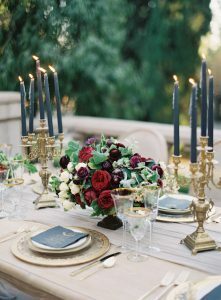 Is there anything more breathtaking than these jewel tones garnished with aspen leaves? 3. All we ask is what’s sweeter: the pretty primroses or the scrumptious macaroons? 4. 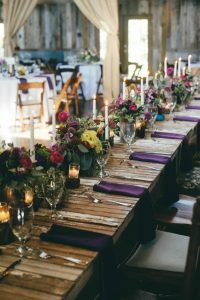 This rustic tablescape is perfect for any country affair. 5. 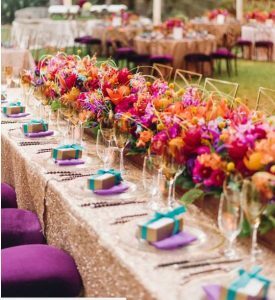 We are obsessed with this lavender and gold tablescape that is perfectly warm and regal! 6. 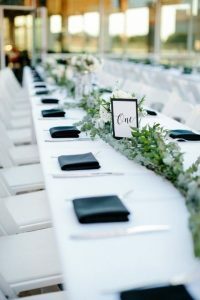 This simple touch of greenery is perfect for any couple who wants to bring some natural charm to their white wedding! 7. 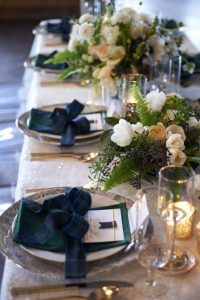 This bride made the tablescape her “something blue” and we LOVE IT! 8. 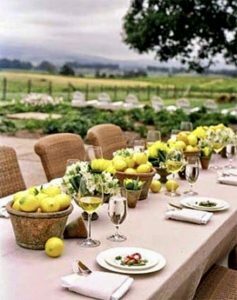 This tablescape has the same vibe as drinking pink lemonade on a warm spring day. Perfection. 9. 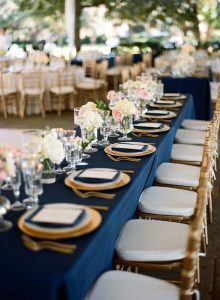 These deep sea glass blue glasses are the perfect pop of color in this lovely white tablescape! 10. 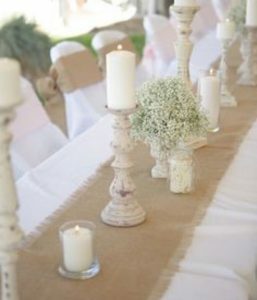 Burlap and a simple flower prove to be a nice added touch! 11. Natural light is everything!! 12. 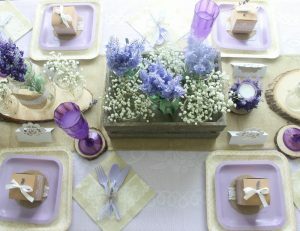 You can never go wrong with lilac and lace. 13. 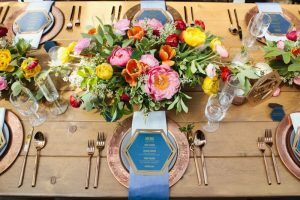 Pretty spring blooms for this colorful centerpiece. 14. 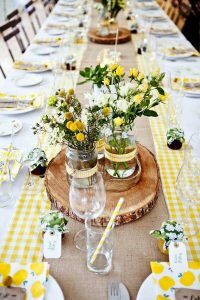 Stunning florals with a touch of citrus to add the fresh spring vibe! 15. 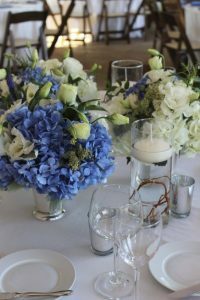 Hydrangeas can help to make a floral centerpiece appear more full. 17. 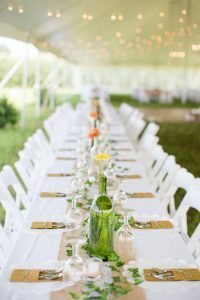 How gorgeous is this table setting with hues of yellow and green mixed in with ivory?! 18. 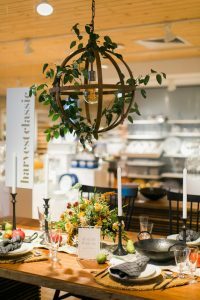 Blue candles for a subtle pop of color to this fresh tablescape. 19. 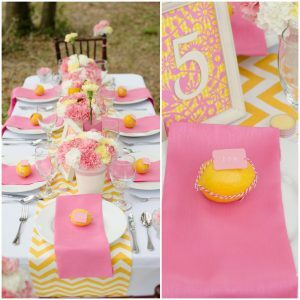 Bright colored roses pair well with a fun sequin tablecloth. 20. 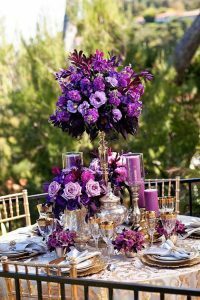 Cumquats are just as fun to incorporate into your floral designs as they are to say. 21. 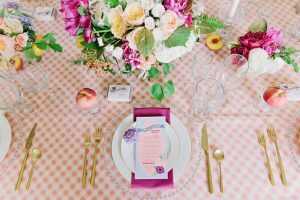 A romantic spring tablescape matched with romantic blooms. 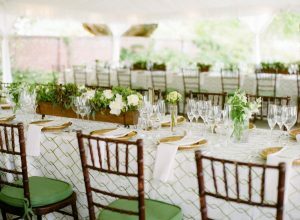 Want more Spring Wedding Inspiration?